DES MOINES, Iowa – The Cook Political Report changed the status of the Iowa 2nd Congressional District from likely Democrat to a toss-up race after the incumbent Democrat Congressman Dave Loebsack announced his retirement at the end of his seventh term. Iowa’s 2nd Congressional District joins Iowa’s 1st and 3rd Congressional District, all held by Democrats, as a toss-up race in 2020. The National Republican Congressional Committee (NRCC) plan to target those races in 2020 as well. In total, they list 21 toss-up seats. Democrats hold seventeen of those seats; Republicans hold four. There are 69 additional seats that Cook Report believes to be competitive in 2020 with 36 considered likely or leans Democrat and 33 considered likely or leans Republican. Republicans need to flip at least 21 seats to regain the majority after Democrats flipped 40 seats in 2018. At the beginning of April, Democrats still have a large voter registration advantage outnumbering Republicans by almost 22,000 registered voters. As in Iowa’s 1st Congressional District, the registered independent voters make the difference. Currently, independents outnumber Republicans (+52,682) and Democrats (+29,717) with 192,586 registered voters. In 2018, Loebsack defeated Republican challenger Christopher Peters by 12.2 percent. In 2016, when President Donald Trump was elected, Loebsack only defeated Peters by 7.5 percent and outperformed the top of the Democratic ticket. Trump defeated Democratic nominee Hillary Clinton by 4.1 percent in the district in 2016. Loebsack also had a closer race in 2014 defeating now State Senator Mariannette Miller-Meeks by 5.1 percent. In 2012, he tied President Barack Obama in the district. Obama won the district by 13.1 percent. Loebsack defeated Republican challenger, John Archer, by the same margin. The counties to watch in the district that flipped from favoring President Obama in 2012 to voting for Trump in 2016 are Cedar, Clinton, Des Moines, Jasper, Jefferson, Lee, Louisa, Muscatine, and Wapello Counties. 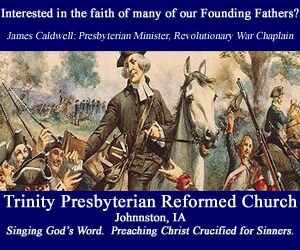 Do United Methodist Lobbyists Really Represent Iowa’s United Methodists? Iowa United Methodists, is the lobbying team for the Iowa Conference for the UMC representing you? Not if you care about life, liberty and small government. Donald Trump: How Stupid Are The People of Iowa? Donald Trump spent nine minutes out of a 95 minute speech given in Ft. Dodge, Iowa attacking retired neurosurgeon Dr. Ben Carson.